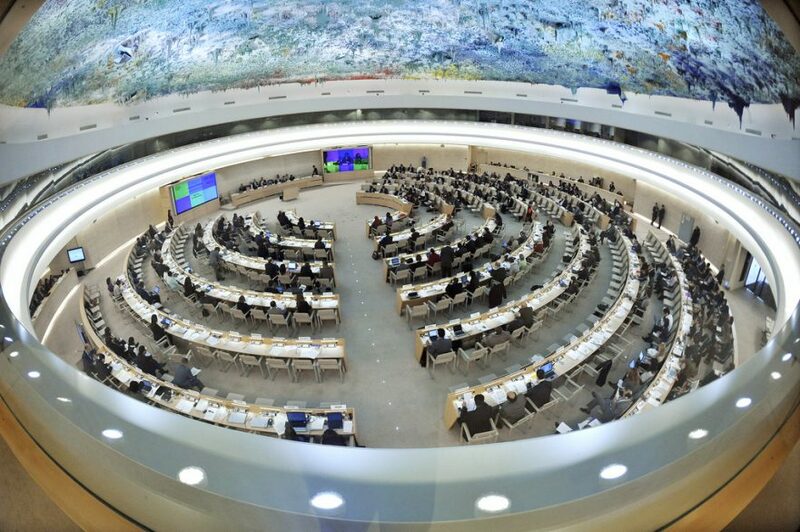 During the last week of the 32nd session of the Council, the URG, with the support of the Government of Germany and the Canton of Geneva, brought 7 journalists – from Afghanistan, Belarus, Brazil, Bulgaria, Cambodia, Ecuador and Kenya – to Geneva to follow developments, especially during voting. During their time in Geneva, the journalists benefited from briefing sessions with URG analysts, key diplomats, and representatives of the OHCHR and the ICRC. They also held information exchange sessions with a selection of Geneva-based human rights NGOs, with the International Federation of Journalists and with Geneva-based press correspondents. This is the second of three media visits/workshops planned for 2016. The overall objective is to strengthen media interest in and knowledge about the Council and its work, and thereby to improve its transparency, accountability and credibility. The next visit will take place during the 33rd session of the Council in September. At the end of the year, URG will publish the findings of a year-long media survey, to understand media interest in and perceptions of the Council. Image: United Nations Photo, “UN Human Rights Council, Geneva,” licensed under CC BY-NC-ND 2.0.